Upon arrival at Varanasi Railway station/Airport/Deen Dayal Upadhya junction, you will be picked up and transfer to Varanasi hotel. 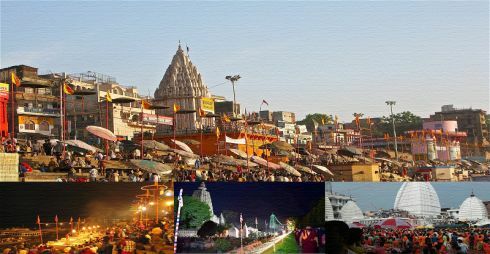 Upon arrival hotel check-in and later visit to the main and ancient temple of Kashi, Kashi Vishwanath Temple one of the 12 Jyotirlinga Temple also visit Annapurna Devi Mandir. Time for Ganga Aarti and boating on River Ganges at Dashashwamedha Ghat. Overnight stay at Varanasi Hotel. After breakfast leave for Deogarh Baidhyanath. Upon arrival check into the hotel and later visit to Baidhyanath Dham another Jyotirlinga from 12 of all. Darshan and overnight stay at hotel. Temple doors close at 9 PM. After breakfast leave for Gaya and Bodhgaya upon arrival, hotel checks in and visit Vishnupad Temple, Phalugu for Ritual Pind Daan Puja, Mangala Gauri Temple and proceed to Bodhgaya visit to Mahabodhi Temple and Bodhi Tree, Great Buddha Statue and monasteries of other countries. Overnight stay at the hotel. After breakfast leave for Varanasi upon arrival, hotel checks in and a visit to Tulsi Manas Temple, Sankat Mochan Temple & Vishwanath Temple of BHU. Overnight stay at the hotel. After breakfast proceed for sightseeing of Sarnath visit to Sarnath Dhamek Stupa, Jain Temple, Deer Park, Ashokan Pillar and Sarnath Museum of ASI. 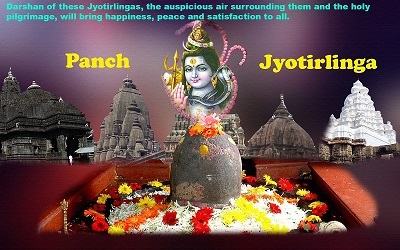 Later after lunch, you will be departed to Airport or Railway station for onward journey due to his devotion towards Lord Shiva therefore here the Shiva is popularly regarded as Vaidhya or Baidhya or “Doctor”. Per Person: Rs.7,780+5% GST x 4 (Cost based on Minimum of 4 persons traveling together)-02 Double/Twin bedded rooms. · Breakfast at all the hotels. · All surface transportation & sightseeing by exclusive AC Dzire/Etios/Aspire as per above-chosen plan for the above itinerary with an excellent driver known to these places. · Includes of all applicable hotel taxes. · Personal nature expenses i.e. telephone calls, laundry, soft /hard drinks, meals, tipping, insurance etc. · Camera fee & any type of entrance fees to monuments. Decrease in the number of persons would increases the cost of the package. All prices are calculated based on current fuel charges, city and parking permits, hotel taxes, govt service taxes and road taxes. If the prices change during the time of group or individual travel, the supplement will be applicable to the group or individual. Early check-in subject to room availability. Standard Check in 12 noon. The quote is not valid during festive period. Supplement for the same will be extra as per applicable. The quote is based on online portal which is not static we would request you to confirm at the earliest. The price and availability is subject to change without prior notice. Hotels rooms are subject to availability at the time of confirmation. In case of unavailability of the rooms we will provide the similar hotels/Camps. Expenses caused by factors beyond our control like rail and flight delays and any other force majeure factor will be borne by the guest. Services unused will not be refunded after confirmation. Cancelation applies as per hotels policies. Confirmation is subject to 100% advance payment. Although there is no prescribed strict dress code for entering the Kashi Vishwanath Temple premises, it is advised to wear decent clothes to visit the shrine. Shorts and miniskirts are generally not encouraged. Rudrabhishek – The Pooja is dedicated to Lord Shiva who is worshiped as fire or Rudra. The puja wipes out all sins and purifies the atmosphere. It also removes all sorts of planetary related ill-occurrences. The Mondays of the month, as well as the Pradosham days, are considered as ideal for performing the Pooja. Maharudrabhishek – In the Abhishek, recitations of Rigveda, Samveda, Yajurveda and Atharva Veda is done in front of the deities of the Kashi Vishwanath Temple. Laghurudrabhishek – This Abhishek is done to resolve issues related to health and wealth. It is also done to remove the bad effects of planets in the horoscope. Shravan Somvar Pooja – The Mondays of the month of Shravan (July – August) are considered highly auspicious for worshiping Lord Shiva. Devotees observe Somvar Vrat during the Shravan month and perform Poojas in their homes. The articles used for the worship are Bilva leaves, white flowers, water, honey, and milk. The charges for the Seva are Rs. 6251. Lakh Vilvarchana – This Archana is performed by offering a lakh Bilva leaves to the Linga of the God.